One of the things I miss most from my pre-smartphone days is getting a personal note in the mail. Even though emails are super convenient, they can not replace the feeling you get from receiving a postcard from a family member on vacation or a letter from a friend far away. 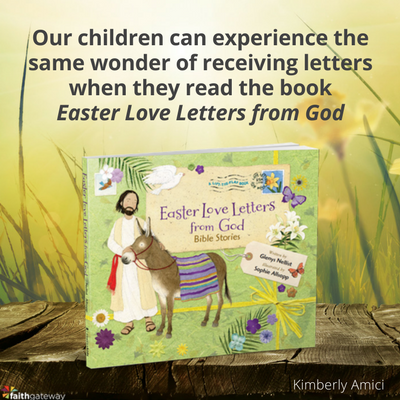 In the book, Easter Love Letters from God, kids can experience what it is like to get a letter from their Heavenly Father. Join me other at Faith Gateway to READ MORE about this wonderful kid's book plus read about a few ways you can touch someone with your written words.